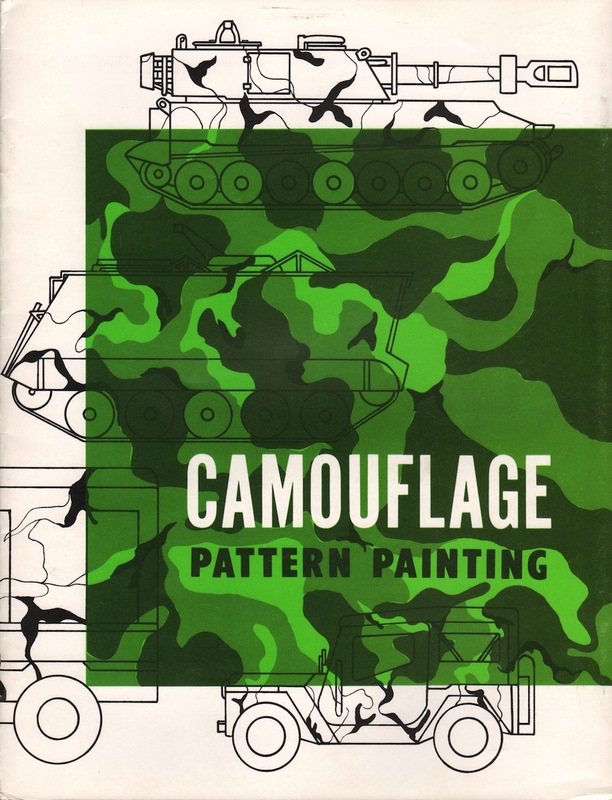 1975 booklet printed on Camouflage Pattern Painting. This training circular was written by the US Army Engineer School and published by the US Army Combat Arms Training Board. It covers the pattern designs and paint colors. Brochures are presented for research use only. Company marks, emblems, and designs are trademarks and/or service marks of Military.